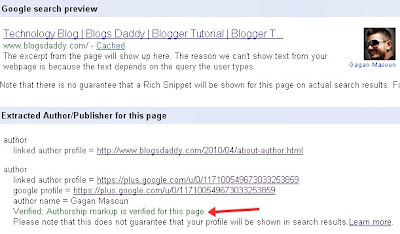 This tutorial will simply guide you "How To Get Google Verified Authorship For Your Blogger/Wordpress Blog". I am watching a rise in verified Authorship for Google search results day by day. Finally with the new redesign, I have added it in BlogsDaddy Blog as well. Add Your Google + Profile Link Anywhere On Your Blog Sidebar Using The Following CodeHow To Show Author Profile Picture Correctly? Here rel="me" will again further authenticate you as the original owner of the blog. Remember to add your full name next to title and add your Google+ profile link instead of my profile link and your first name instead of Gagan. Add your Blog homepage LINK and also the LINK of your About Us page. 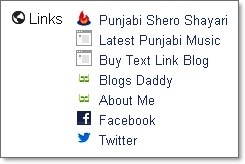 You can also add your Facebook and twitter links if you wish. I have observed that now Google offers two link options. One is called Other Profiles and second is called Recommended links. Add your Homepage link, Facebook and twitter links to Other Profiles and About Us Page link to Recommended links. Check The Show This Tab On My Profile Checkbox. 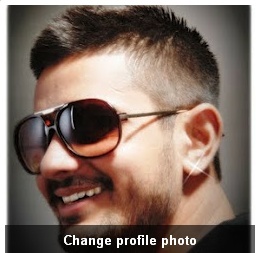 One Final step is to Upload a quality Profile Pic of yourself on Google Plus. Your image will look best if it is 150px by 150px in size or you can use the same 128px by 128px size profile pic that you added to your blog about page. 7. Finally Save Your Profile and You Are All Done! 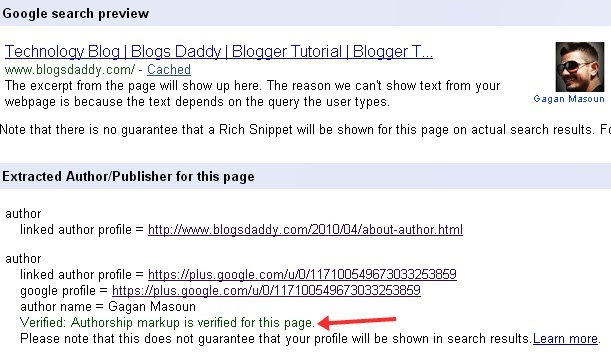 If you have followed the tutorial correctly then you will profile authorship will be verified. You will see a green verification message saying: "Verified: Authorship markup is verified for this page"
If you seem to be getting errors then revise the tutorial and retry and retest until you get no errors at all. Ask via comments if you did not understand the tutorial correctly.